Another October has come and gone. Like many of you, I am enjoying the rich colors of the fall, happy to be free of the pink barrage. Breast cancer is not pretty or pink. And breast cancer has never been limited to just one month. At Breast Cancer Action, our work continues full-force year round. Just over a week and a half ago, we delivered 31,694 Toxic Time Is Up petition signatures to the Chair of the Senate Environment and Public Works Committee, Senator Barbara Boxer. You can read more about it in our program update. Since our founding in 1990, Breast Cancer Action has demonstrated that when women raise our voices together, we achieve big changes. 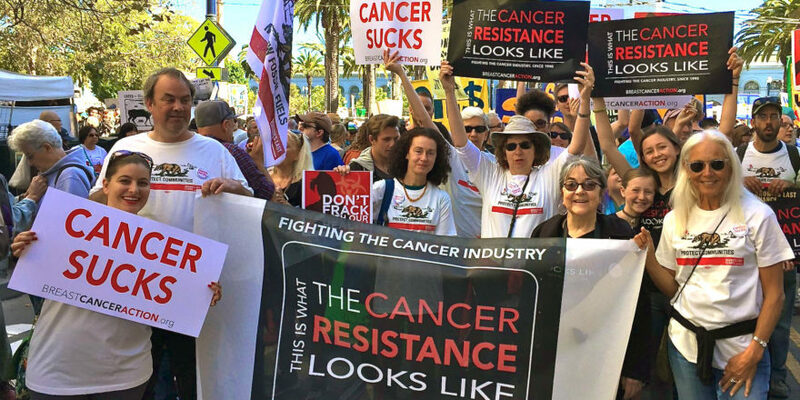 With the support of our fearless and passionate members, we have a history of going toe-to-toe with industry, whether corporate polluters or billion dollar biotech companies that think they can own our genes. And as a grassroots activist organization, we pride ourselves on our freedom from corporate influence which enables us to be the watchdog of the breast cancer movement. Our strength is our members, and when we all join together to demand change, together we make the impossible possible. Just this summer, many of you celebrated with us when we won at the U.S. Supreme Court a full four years after most experts said our case was “frivolous” and couldn’t be won. Many of you were part of the early years of Think Before You Pink®, when Breast Cancer Action was a lone voice calling for accountability and transparency in breast cancer fundraising. 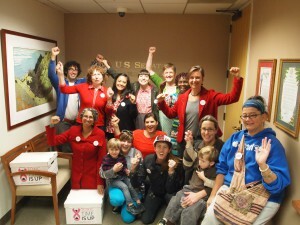 Today, our hallmark campaign is known across the country and pinkwashing is a household word. And in just one month, this past October, nearly 32,000 people across the country joined our call to end pinkwashing once and for all by demanding chemical reform—that is over 1,000 people each day during October! Yes, we still have a lot of work to do, and together, our power to create change is growing. 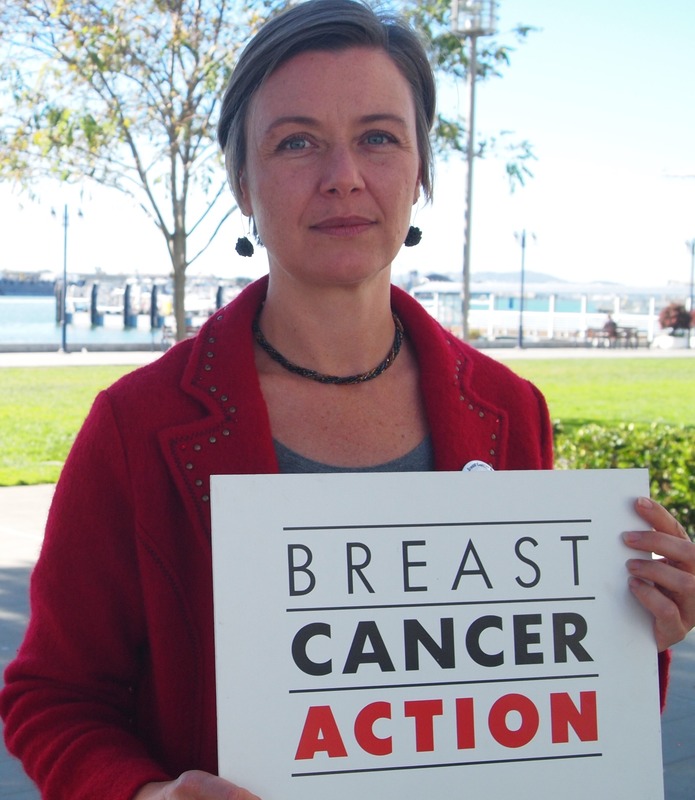 For most of Breast Cancer Action’s history, this work was done under the leadership of Barbara Brenner, a truly legendary health activist, influential thought leader, and visionary in the breast cancer movement. Under Barbara’s leadership, Breast Cancer Action changed the national conversation about breast cancer. And we continue to be a leading voice, fearlessly willing to take on issues that others won’t—or can’t—address. I told Barbara more than once that I am deeply humbled and profoundly honored to carry forward the work of Breast Cancer Action. Barbara, along with the staff and Board, developed and implemented plans to create a smooth and successful leadership transition in early 2011. Every day I am grateful for that work and preparation. My transition was also bolstered by one of the best, most heavily used strategic plans I have ever worked with. The current strategic plan—developed with the help and participation of many of you—provides valuable guidance for making decisions about what work we do while remaining broad enough to be relevant beyond its five year scope. This plan has supported a continuity of priorities, vision, and voice, while also allowing for innovation and adaptation. Our current strategic plan is close to my heart because it also reflects the way that I personally come to breast cancer: committed to providing unbiased information for women to make their own health decisions; equally focused on cancer prevention and ending the epidemic; all through a feminist, social justice lens that demands systemic solutions. We have accomplished much under our current strategic plan. The world has changed since we started that process more than six years ago—and we changed it! I am excited to share with you that we are currently embarking on a planning process to develop a new strategic plan covering the next five years. Over the coming months, we will be reaching out to ask you to share your perspective on our current work: what you think is most important about what we do; what you’d like to see change; how we can leverage our strengths, and where there are unmet needs and opportunities. I look forward to your participation in this important and exciting process of defining (and refining) the future direction for the organization. As a self-reflective, learning, critical organization, we are starting to take a deep look at our programs and priorities. Over the coming year, I look forward to sharing with you how we plan to stay on the cutting edge of a fast-moving field. We will always be the watchdog. We will never be bought. We will always put patients before profits. We will always be a social justice organization. And we will always look to systemic solutions to meet the needs of women living with breast cancer and stop cancer before it starts. Thank you for being part of the Breast Cancer Action community. With your support, we are celebrating momentous wins this year and we are looking forward to harnessing these successes for ongoing change. Like most nonprofits, year’s end is the time when we receive most of our donations that provide the much-needed funding to fuel our work year-round. Over the next few weeks we will be asking you to invest in our work. Please give generously because your donations allow us to remain the watchdog of the breast cancer movement, bringing people together to go toe-to-toe with industry so that women’s health always comes first and addressing and ending this epidemic remains a priority. Thank you. Your support means that we can bring the power of grassroots activism to achieve meaningful change that puts public health—our health—before corporate profits.